People often wonder what is the ultimate expression of love, and before you go soul searching for a complex response, the answer is before you. It is simple and the act is literally priceless. Tonight Healthy Living explores the importance of donating blood. Doctors spend years educating themselves learning how to save lives. Imagine spending less than an hour and being able to do the same. Blood donation is a simple process that can have a larger than life impact on those who are in need. Unfortunately, it is in the midst of an emergency that we realize the immediate need for blood and many times… a lot of it. President of the Belize Volunteer Blood Donor Association, Dr. Ramon Figueroa puts it in the Belizean context. Dr. Ramon Figueroa, President, Belize Volunteer Blood Donor Assn. The American Red Cross estimates that an accident victim can require anywhere from four to one hundred units of blood. This underscores the importance of having a reserve of donated blood available at our blood bank. In 2005, there was a total of nine percent voluntary blood available at the blood bank. While those numbers have increased the supervisor of the Belize National Transfusion Services emphasizes the need for more voluntary donors. So how does one become eligible to be a voluntary blood donor offering someone a gift of life? The process is simple. Once you’ve passed the preliminary screening, then comes the extraction of the blood. And for those getting queasy at the thought of the needle, Karen Diaz, who has been donating blood for the past twenty-five years assures us that it is not as bad as it seems. This screening process is done to ensure that the blood can be used for transfusion. The blood bank practices extra special measures to ensure safety and confidentiality throughout the entire procedure so that donor and receiver can feel secure. Mavis Guzman understands this feeling, all too well. Her son Alan Guzman who is diagnosed with portal hypertension is regularly in need of blood transfusion. And with her son being hospitalized on an average of three to four times a year and each visit requiring a blood transfusion, Mavis regularly faces the difficulties of seeking out blood donors. 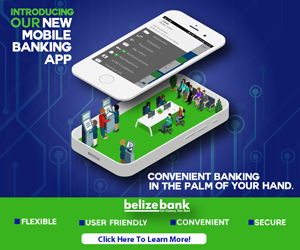 With scenarios like Mavis and her son and countless others, The Belize Volunteer Blood Donor Association and the Belize National Transfusion Services have a hefty task of not only recruiting donors but also improving the banking system. So if you are an eligible donor, visit the blood blank and make your contribution. It costs you nothing but is invaluable to those who receive it. U.S. government donates $1.4 million in equipment to B.D.F.